This easy winter salad is sweet and tangy. 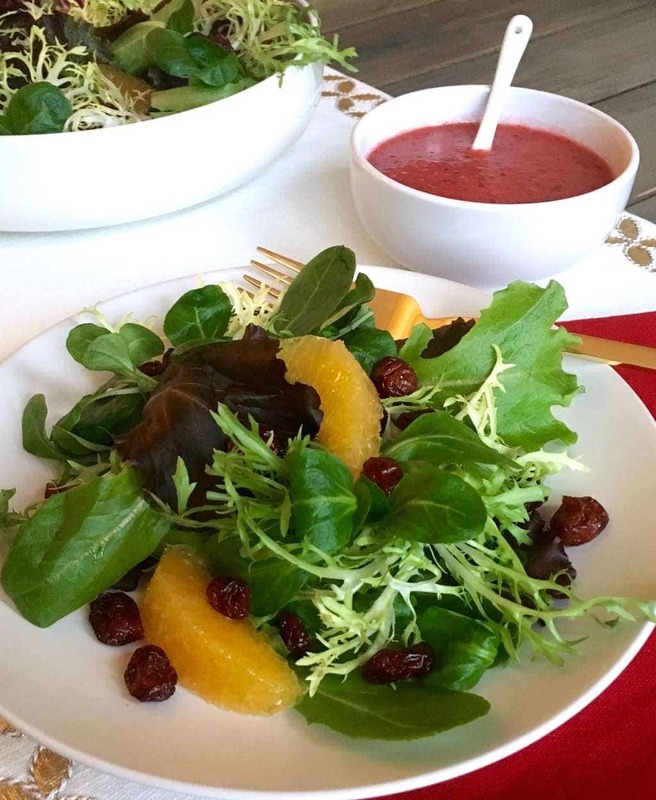 The cranberry vinaigrette pairs perfectly with juicy oranges and dried fruit, freshening up your classic winter flavors. 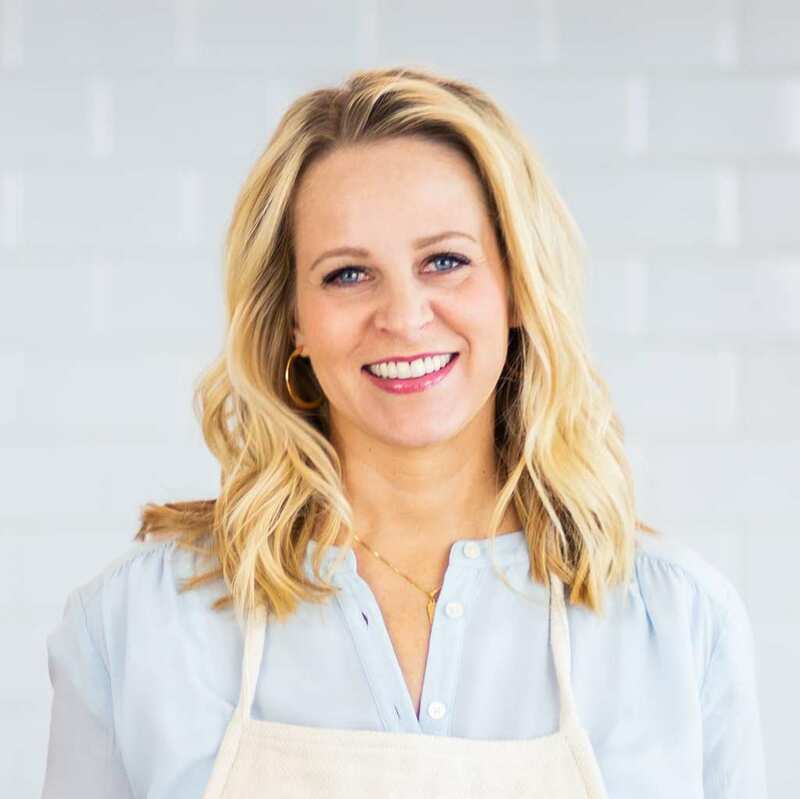 I’m always looking for a salad worthy of my special holiday dinners and great for the winter months. It needs to be pretty enough for the table and spectacular enough to compete with a delicious menu. 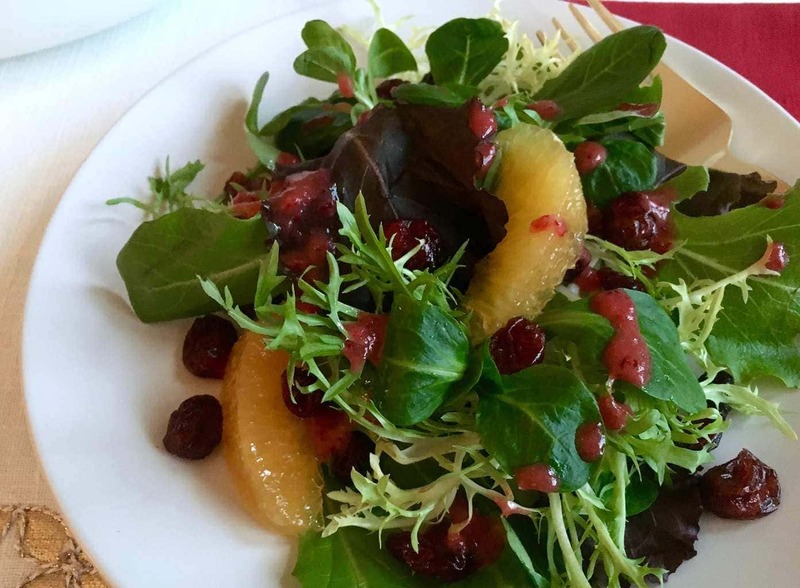 This winter salad gets fancy with segments of sweet, seasonal oranges and tangy dried cranberries. I love using cranberries all throughout the winter. They don’t have to be reserved for a turkey side dish! You can get them fresh from November and into February; and can stock up and freeze them too. Fresh cranberries are fantastic to throw in blended drinks and smoothies, as well as to cook with. There’s no need to thaw fresh berries, so recipes come together quickly. This recipe calls for fresh or frozen cranberries, so you can make this recipe for the holidays and into the winter months. The colors in this winter salad are worthy of my special table, but to really top it off, I wanted a dressing that spoke to the winter season, and even my holiday celebrations. I figured a cranberry vinaigrette would be perfect! Some people are intimidated by the strong flavor of cranberries, but as you blend them with other ingredients, they break down and mellow. 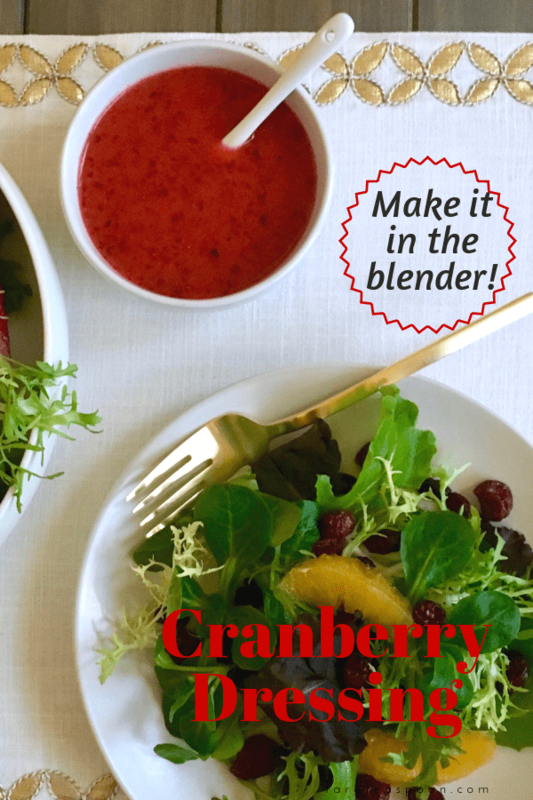 Use fresh cranberries as much as you can while they’re in season! 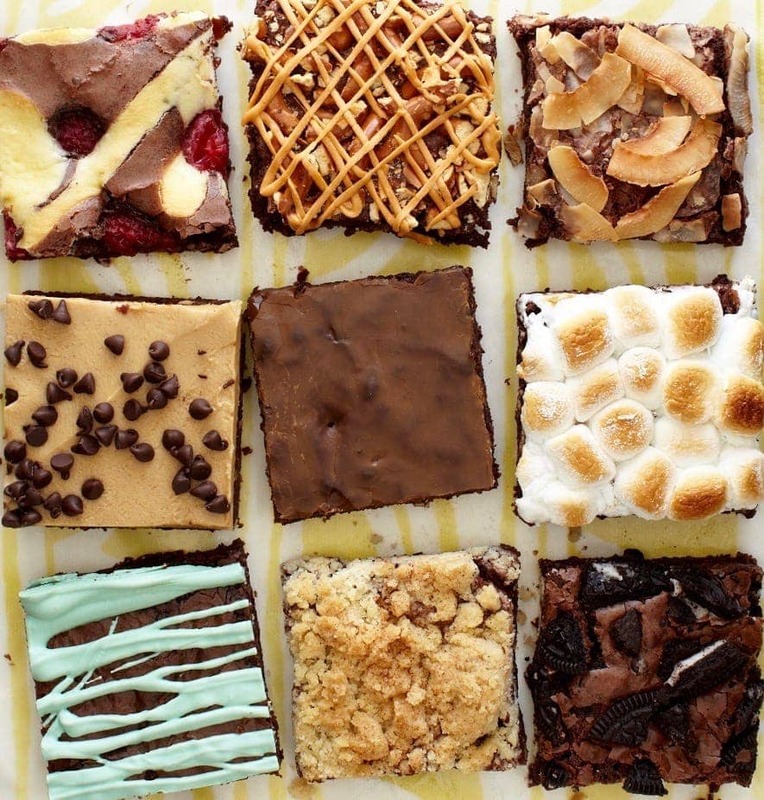 Freeze some for later too. 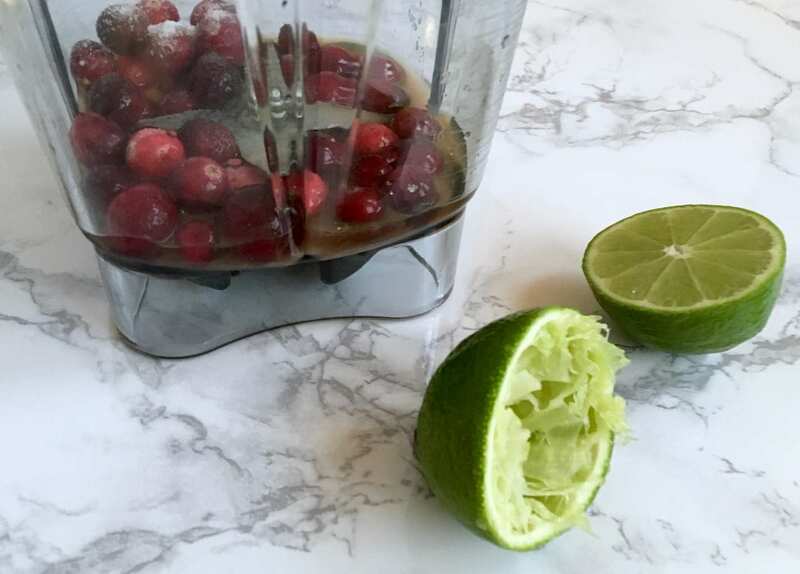 To make the dressing I blended the cranberries (I keep them in my freezer and just let them thaw on the counter a little while), some lime juice, sugar and red wine vinegar. 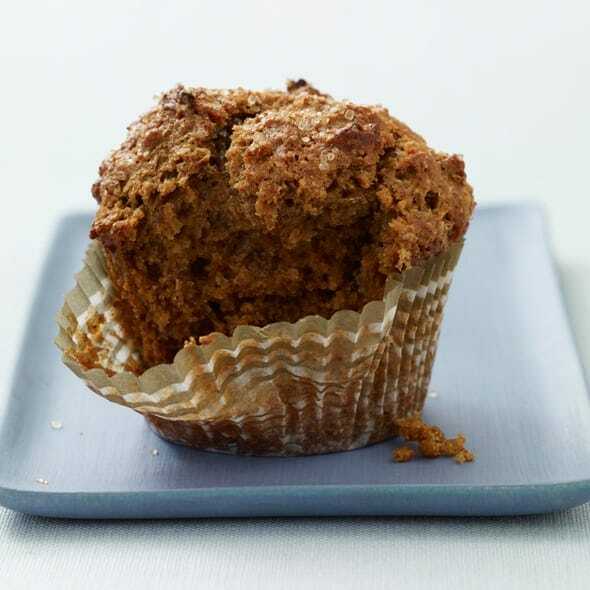 The lime juice adds a citrus-y brightness that brings the other flavors out. As for the vinegar, you can use any blush or red vinegar. A raspberry vinegar or sherry vinegar would be tasty as well. The sugar does its job and sweetens the tart cranberries and vinegar, while still keeping it zippy enough for a green salad. Don’t forget a dash of salt to keep it savory. I added half the olive oil to the blender with the other ingredients to help it blend. However I like to whisk the remaining olive oil in by hand so it doesn’t get too filled with air from whipping around the blender. It makes the perfect consistency for the dressing. Make your winter salad more dynamic by incorporating fresh ingredients! As for the actual salad, just mix baby lettuces with some tender Mache greens (also called lamb’s lettuce) and frisée. Frisée is the spiky looking chicory and I love it mixed into any salad. However, feel free to throw in any of your favorite greens. This dressing is great on a crunchy romaine salad too, so keep it on hand in the fridge. Other side dishes that would go great with this winter cranberry salad are my Roasted Vegetable Trio with Orange Thyme Dressing and Garlic-Herb Mashed Potatoes. 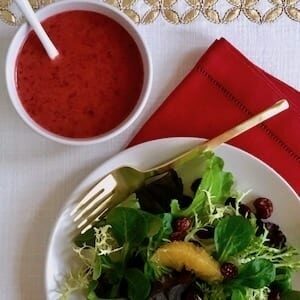 This cranberry vinaigrette is sweet and tangy and tastes spectacular with sweet oranges and dried cranberries. In a serving bowl, combine the frisée and baby lettuces. 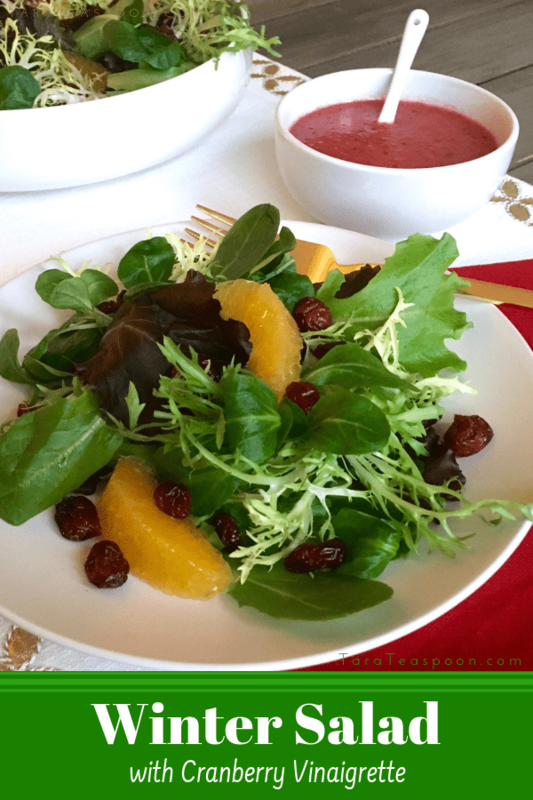 Top with orange segments and dried cranberries. 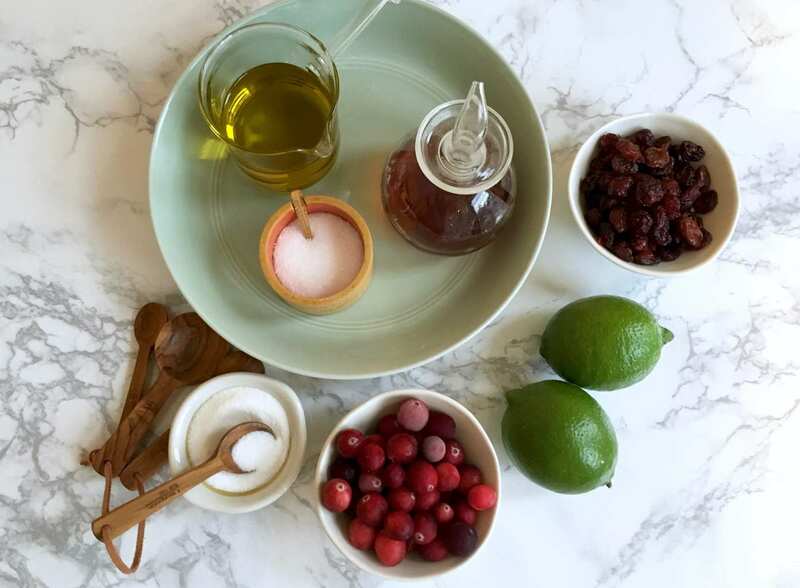 To make the vinaigrette, combine the thawed cranberries, vinegar, lime juice, sugar, salt and half of the olive oil in a blender. Blend until smooth. Transfer to a mixing bowl and whisk in remaining olive oil. Serve dressing alongside the salad. 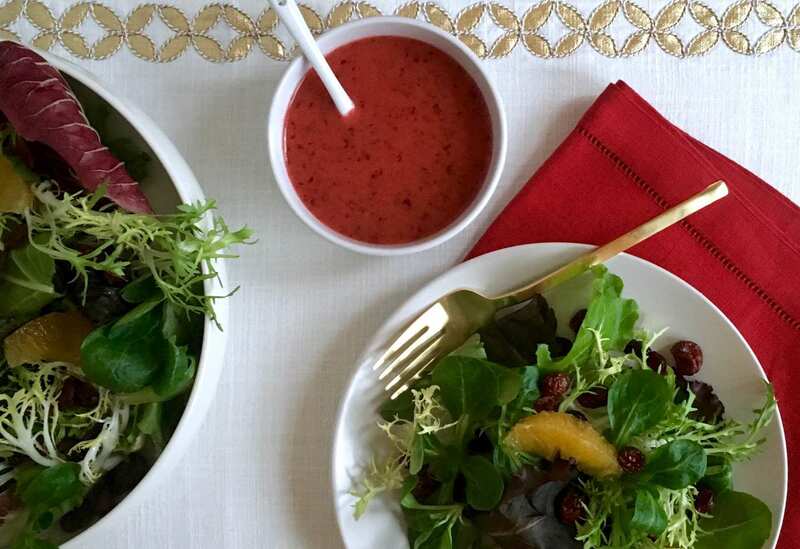 Make cranberry vinaigrette all winter. It's great on salads and veggies. 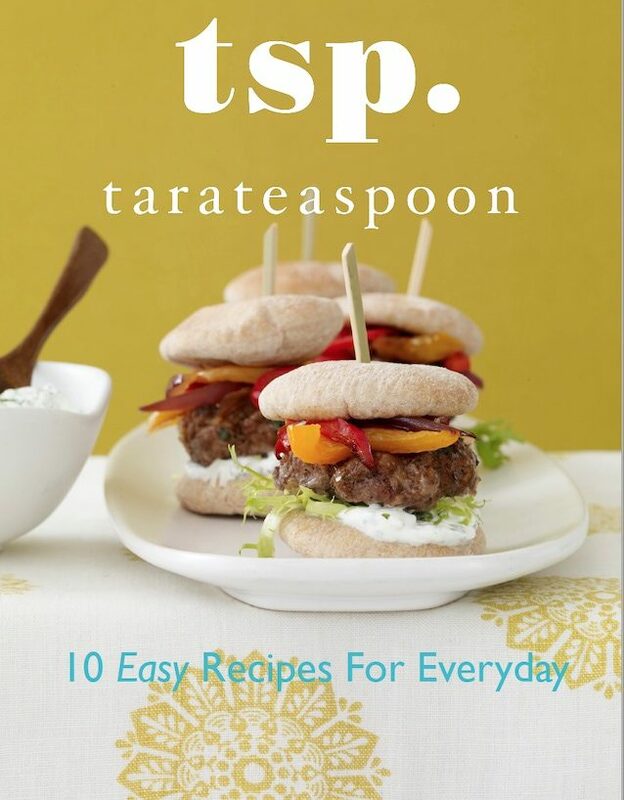 By Tara Teaspoon and Ruby Neff. 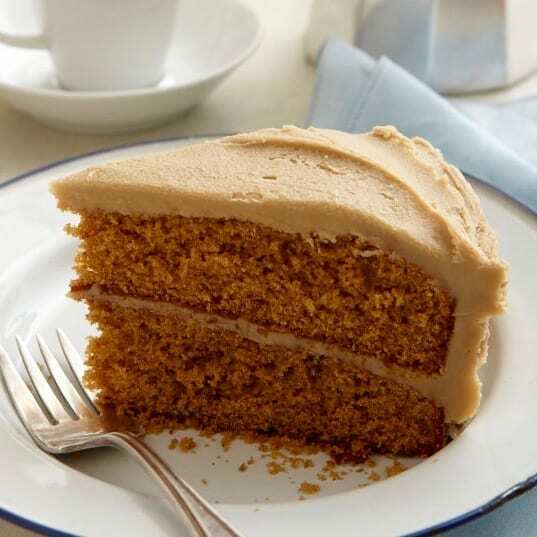 Recipe originally appeared as a guest post on I Heart Naptime.